God had prophesied of a number of Gentile world-empires that would come and go before Christ came to this earth, but Christ was born into the Roman Empire and indeed all the New Testament was written while this empire was in force. It had a marked effect on the lives-mostly negative-of Christians for many years. 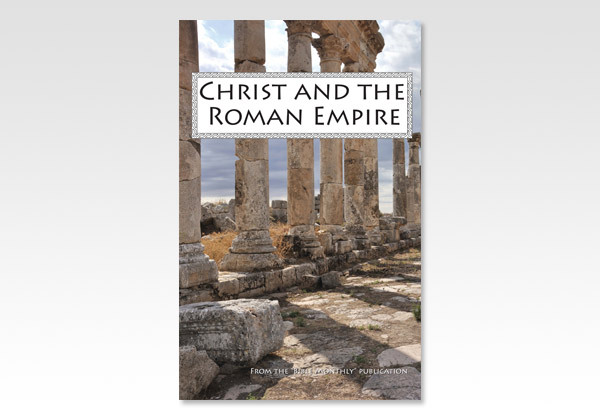 Surprisingly, under Constantine, in the early 4th century, Christianity became the state religion of the Empire and as a result there were many compromises with Scripture-truth. Although the spiritually-significant part of the Empire was gone by about AD 500, prophecy predicted the revival of this empire in the days of the Great Tribulation. We may well be seeing foreshadows of that reviving in the European Union. It will be one of the great enemies of Christ in that time, until it is utterly destroyed when Christ comes to set up His millennial reign. The details are fascinating. Although we don't know the author of this book, the Lord does, and we thank him for his clear and godly account. We believe you will profit from this book, not only from its prophetic standpoint, but from a greater appreciation of our Lord Jesus Christ who is the victor over the Satanic-led power of this Empire.